Jomax Road, which is a mile north of Happy Valley Road, in Phoenix, Arizona was named after two women, Josephine and Maxine. And it was the road to a little 9-hole golf course. 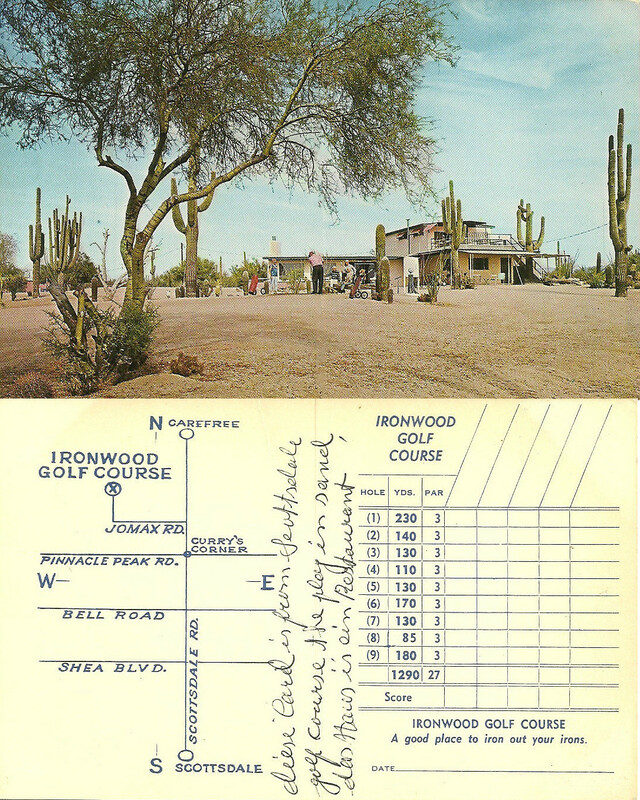 The golf course was owned by Maxine and S. Fitzgerald "Fitz" Durham, and it was called Ironwood. Way back in the 1950s, this area was "way out in the country", way beyond the city limits of Phoenix, and other than a little place that sold trinkets, called Curry's Corner, there really wasn't anything out there except desert and cactus. And the Ironwood Golf Course. Nowadays, Jomax is a major road in the Phoenix grid system, but back then it was just the road to a little tiny golf course, where you could iron out your irons.